I am so happy to finally be back from the holidays! I hope you all had a wonderful holiday with friends and love ones! I know I personally enjoyed the time spent with my family! Now we are in full swing to new years! Personally I find new years to be so sad, I have never been a lover of new years. But this year I am attending a white wedding on new years eve. And I am so very excited! I snagged this dress at Franchesca’s collection and fell in love with the sheer bottom and the gorgeous texture of the fabric! 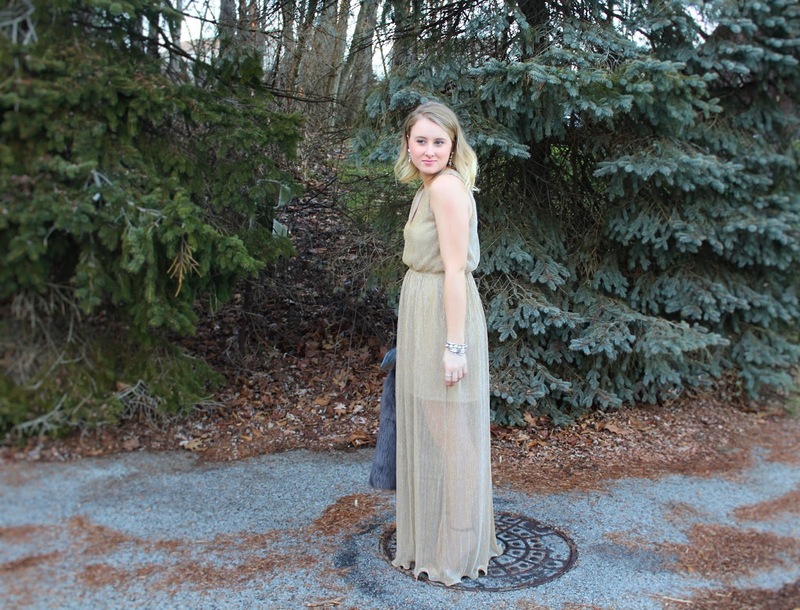 It is a perfect dress for a white new years eve wedding! 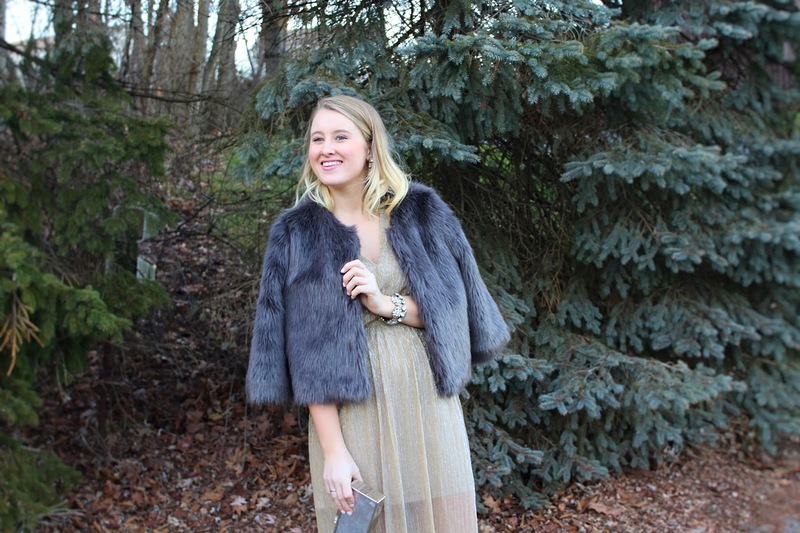 Add a little faux fur coat and look you have the perfect new years eve outfit! I have linked tons of awesome NYE options above! Literally I have you covered with the perfect dress for the big night! Wishing you all a wonderful Wednesday! You stunning doll!! Love the sparkle, love the fur, love you in it!!! get on over and link up this gorgeousness today! I love it!! Happy New Year darling! !